As you can imagine, we get a lot of questions related to Medicaid, nursing homes, long-term care and related topics. I've heard that if I enter a nursing home, the state may take my home. What can I do to protect my home? My attorney has already drafted a Living Revocable Trust. Shouldn’t that protect my assets from nursing home costs? My children own property with me jointly. Does that protect the assets from nursing home costs? My spouse owns an IRA that does not have my name on it. Is my spouse’s IRA a countable asset if I apply for Medicaid? Is my home still an exempt asset if my equity exceeds $500,000? I own a farm that consists of my home and 100 acres, plus 75 acres across the street. How much of the property is considered an “exempt homestead” for Medicaid purposes? If I go into a nursing home, what assets will my spouse be able to keep? What is the “Federal Deficit Reduction Act” and how does it affect Michigan nursing home residents applying for Medicaid? What is Estate Recovery and what does it mean for my home if I go on Medicaid? What does "Solely for the Benefit of Trust" mean? What is the "Half-a- Loaf Divestment" technique and how can it benefit me? First, a homestead with a fair market value of less than $500,000 is not a “countable” asset when it comes to qualifying for Medicaid. In other words, a person (or spouse) can own a home and still be eligible for Medicaid benefits. As such, neither the State of Michigan nor the nursing home can force the sale of your home upon your entrance to a nursing home. If your home or farmland is worth more than $500,000, additional legal advice is needed to ensure you enjoy the Medicaid homestead exception. Once a nursing home resident qualifies for Medicaid, Michigan Estate Recovery program could apply. The objective of Michigan’s Estate Recovery program is to collect assets from a deceased Medicaid recipient’s estate to repay the state for the costs incurred to provide Medicaid services to those individuals during their lifetimes. The most likely asset available for the State to recover is a Medicaid recipient’s home. We advise our clients that a Medicaid recipient can avoid Estate Recovery by avoiding probate. A common way to avoid probate is to title real estate with joint owners. However, adding a joint owner who is not a spouse can cause unintended gift penalties under the Medicaid laws. As such, we prefer to execute a “Ladybird deed.” A Ladybird deed avoids probate by transferring the real estate immediately upon the Medicaid recipient’s death, but not before, and thereby circumvents any possible lifetime gift penalties. It is imperative that if you or a loved one are receiving Medicaid benefits for nursing home services, or expect to receive such benefits in the future, you have your estate plan reviewed by an attorney familiar with Nursing Home and Medicaid Law. No. A living trust is an estate planning document used to avoid the process known as probate. When a living trust is created, assets are placed in the name of the trust. As such, when a client passes away with a properly funded living trust, the client will not “own” assets and avoid the need for probate. Generally, during the client’s lifetime, the client has full and complete access to the assets in the living trust. As such, if a client enters a nursing home and applies for Medicaid, the assets in the trust will be deemed available to the client and countable for Medicaid purposes. Therefore, although a living trust is a wonderful tool for avoiding probate, it will not assist in the preservation of a nursing home patient’s estate. The answer depends on the kind of asset held jointly with another person. a. Any asset held jointly with a spouse will fully count toward the Medicaid applicant. For real estate, stocks and mutual funds, only the value of the nursing home patient’s proportional ownership counts. Yes. A nursing home patient applying for Medicaid must report assets owned by the patient and the patient’s spouse. However, the patient’s spouse is entitled to keep the Community Spouse Asset Allowance. In the past, homesteads of any value have been “excludable” assets for Medicaid purposes. Now, and with only a few exceptions, the Deficit Reduction Act of 2007 (“DRA”) does not permit individuals who have more than $500,000 of home equity to be eligible for Medicaid long term care services. EXAMPLE: Mr. and Mrs. Brown own a home with 160 acres of farm land. The property has a fair market value of $625,000. Mr. and Mrs. Brown carry no debt on the farm. Prior to the DRA, Mr. or Mrs. Brown could exclude the value of their home (and acreage) for Medicaid purposes. One spouse could receive Medicaid benefits, while the other spouse could remain in the homestead and pass the farm onto heirs. Because of the DRA, however, the Brown home would count towards Medicaid eligibility, as it exceeds $500,000 in equity. This development is potentially disastrous for our many clients who own farms or lakefront homes that exceed the $500,000 equity. Previously the sale of homestead to pay for long term care was an unfounded myth—the DRA, unfortunately, can make it reality. One fact is clear: simply placing the real estate in a revocable living trust will NOT shelter the asset for Medicaid purposes. There are steps to take to avoid this result. Careful, anticipatory planning is key in avoiding the new “homestead” trap set up by the new DRA regulations. Estate planning with an eye towards potential nursing home care is now more important than ever. An exempt “Homestead” includes a patient’s home and any contiguous land. The land can be separated by a road or river, but not by another person’s land. A “community spouse” (spouse not living in a nursing home) is allowed to keep all of the couple’s exempt assets: the homestead, one vehicle, most personal property, and pre-paid funeral contracts. Also, the spouse is entitled to the Community Spouse Asset Allowance, defined as ½ of the couple’s countable assets, but only up to a maximum of $109,500. The “Deficit Reduction Act of 2005” (the “DRA”) requires that billions of dollars in spending be reduced from a number of domestic programs. As Medicaid is the single largest purchaser of long-term care services in the nation (paying more than $86 billion annually to cover more than four million people) the Medicaid program is one of the primary targets of this legislation. The DRA imposes new eligibility rules that will deny coverage to many individuals who would have been eligible for coverage absent the DRA’s changes. As of July 1, 2007, gifts from a Medicaid applicant are analyzed using the “new rules” of DRA. Under the DRA, the Medicaid “lookback” period (the period during which asset transfers must be reported) was extended from three to five years prior to the date of the application. For instance, if a senior citizen gives away assets (pays for a grandchild’s car or tuition) or even adds the names of children to their investment accounts or real estate—and then, within five years, enters and nursing home and applies for Medicaid—they will face disqualification from Medicaid benefits. Prior to the DRA, homesteads of any value have been “excludable” assets for Medicaid purposes. Now, and with only a few exceptions, the DRA does not permit individuals who have more than $500,000 of home equity to be eligible for Medicaid long term care services. This development is potentially disastrous for our many citizens who own farms or lakefront homes that exceed the $500,000 equity. Previously the sale of homestead to pay for long term care was a unfounded myth—the DRA, unfortunately, can make it reality. One fact is clear: simply placing the real estate in a revocable living trust will NOT shelter the asset for Medicaid purposes. As such, extreme caution and forethought should be given to the type of estate gifting / planning individuals undertake. In light of changes in Michigan law, the “Long Term Care Planning” counseling services that Longstreet Elder Law offer appear more important than ever. In our experience, a well- informed client can avoid many of the pitfalls that face seniors today. For many years, Michigan was the only state in our nation that did not have an “Estate Recovery” law. Estate recovery says that people who receive Medicaid benefits while in a nursing home can be subject to having to “repay” the state for the benefits paid for the nursing home care. Because most people on Medicaid usually own a small amount of cash plus their homestead, the claim by the state will most likely be against the person’s home. Unfortunately, Michigan has now joined the rest of the country and has adopted an “Estate Recovery” law. First, the Estate Recovery law only applies to “probate assets”, or assets that would need to be probated through court after the senior’s death. That means assets in revocable living trusts are not subject to Estate Recovery. Also, assets that avoid probate by joint ownership, beneficiary designations (i.e. life insurance), etc. would not be touched by Estate Recovery. Other exemptions for the home exist for senior’s relatives living in the home for a certain amount of time. Lastly, if there is estate recovery against a senior, the amount is “capped” at actual costs of Medicaid services paid for on behalf of the senior. 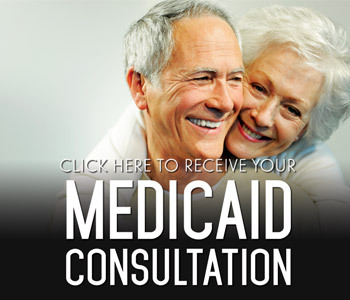 IT IS IMPERATIVE that if you or a loved one are receiving Medicaid benefits for nursing home services, or expect to receive such benefits in the future, you have your estate planned reviewed by an attorney familiar with Estate Recovery law so as to avoid being subjected to Estate Recovery. This remains my favorite planning tool for couples with one spouse facing a nursing home stay. A “Solely for the Benefit of Trust” shelters all of the assets that need to be sheltered for the benefit of the “community spouse” (the spouse not in the nursing home). The Solely for the Benefit of Trust makes all assets held in the trust unavailable for Medicaid purposes. The trust then requires the assets to be paid out to the community spouse over his or her lifetime, or earlier if the spouse is in need. The Solely for the Benefit of Trust is a safe, effective technique I always recommend for couples facing daunting nursing home costs. If Mr. Brown entered a nursing home and applied for Medicaid, he would be entitled to keep $2,000. What can Mrs. Brown keep? She is entitled to keep all of the exempt assets (the homestead, one car, personal property, and prepaid funeral contracts). She is also entitled to keep the Community Spouse Asset Allowance, in this case $80,000. (Countable assets $160,000 X 50% = $80,000). The remaining $80,000 can be placed in a Solely for the Benefit of Mrs. Brown Trust. This trust will pay Mrs. Brown a minimum amount annually, similar to an annuity. The result: Mrs. Brown preserves 100% of their estate, while Mr. Brown is approved for Medicaid. For single clients, the “Half-A- Loaf Divestment” remains a viable, effective technique. Under this plan, a Medicaid applicant can gift a portion (approximately 55% or 60%) of their countable assets. The gift will result in a penalty period – a time period when the applicant will be denied Medicaid benefits. We then use the remaining portion (again, usually 40% or 45%) to pay for their long term care costs during the penalty period. Although not a 100% savings, the Half-a- loaf technique is useful in saving at least half of a senior’s countable assets (assets that would otherwise be depleted by long term care costs). If you have a question that you'd like to ask us, please visit our Contact Us page and we'll be happy to get you an answer.